Across an organization, there are often different network analyzer users with varying analysis needs; e.g., operators and vendors will each use test networks for distinct purposes. However, despite this difference, the source of the information remains in the same network interface, and therefore, all users are able to access the same lines—simultaneously and independently. 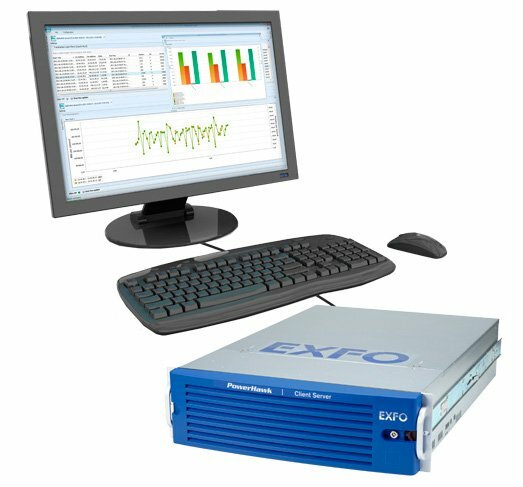 With the PowerHawk, EXFO has overcome the challenges that come with simultaneous and independent use by developing a real-time, multi-user analyzer system with location-independent access. Different users in the lab or in an operational network have different analysis needs. For instance, the customer-support team is interested in solving problems, such as dropped calls within a certain area, and viewing the related statistics. On the other hand, the service team might be more interested in launching new services and observing how they are utilized by different subscriber segments. What's more, network testing is more intensive now than with previous network generations. To meet all the needs of an organization, the system in place must satisfy the various requirements of distinct user groups, while ensuring that they do not conﬂict with each other; i.e., one user group must not prevent others from accessing data when utilization of high-rate equipment is needed.